It is impossible to separate the thought of Scotland from its Whisky – it is one of our greatest exports and our passion. 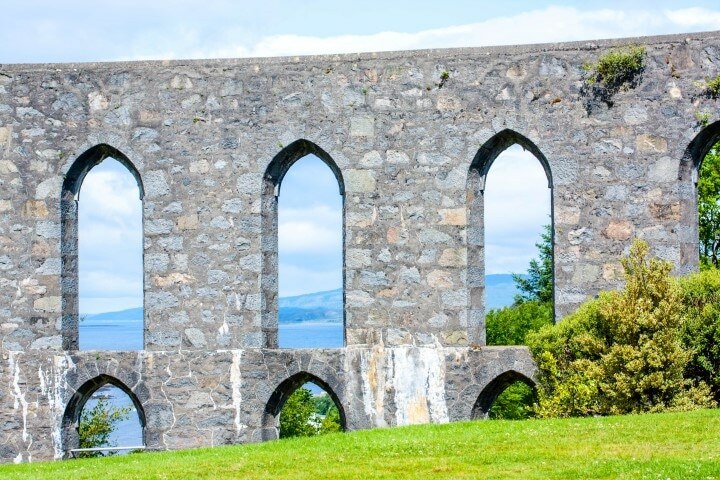 On this voyage, we truly introduce you to the Scottish “Water of Life” and this luxury cruise is a true taster of the very best that the highlands and Islands of this dramatic part of Scotland has to offer. Starting in Oban, we first visit the Oban Distillery for a taste of the delights to come. Departing from here we pass the natural marvel that is the Coryvrekkan whirlpool before arriving at Islay – the whisky isle – home to eight Scottish distilleries. After some thorough tasting from your choice of distilleries, we pass the Ardmore Islands where you can continue to sample your favourites in the luxury of our Whisky Viewing Room whilst watching the seals hide amongst this archipelago of small islands. We sail onwards to Jura, home of the Isle of Jura single malt whisky and then on past the jewel-like Garvellachs before heading to Corpach and the Ben Nevis Distillery. On our return to Oban, we pass the beautiful Shian Bay, before returning on slightly wobbly sea legs after truly sampling the Spirit of the Sea. 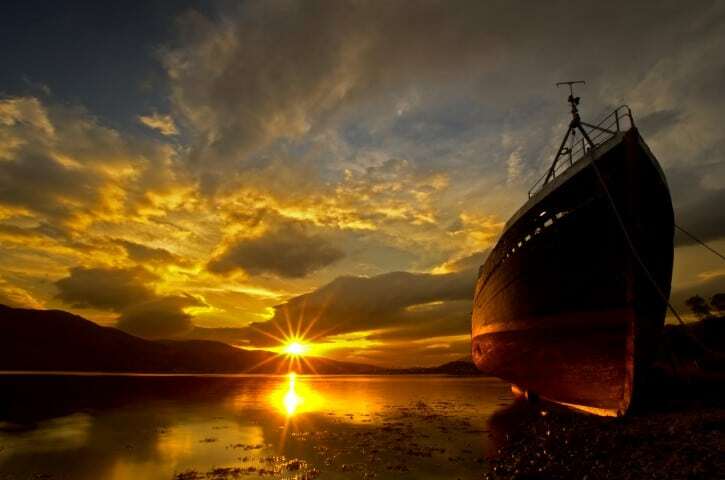 The Whisky cruise is taken at a slow and leisurely pace – just like a fine whisky these things cannot be rushed. One of the oldest distilleries in Scotland, it is also one of the smallest with just two pot stills – yet still produces some spectacular flavours. Established in 1794 by the brother John and Hugh Stevenson, the distillery actually predates the town. Refurbished in the 1890’s, there has been little change to the buildings and it still retains its unique charm. The tours are informative and you get to witness first-hand the traditional craftsmanship at work as they produce the whisky before enjoying a complimentary dram or two of the Oban 14-year-old West Highland Malt. Between the islands of Jura and Scarba hides one of the most dangerous stretches of water around the British Isles. 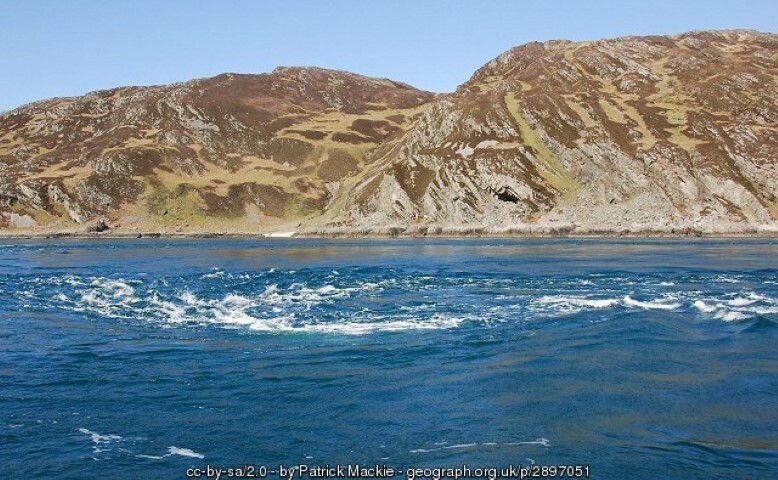 Fear not, as we journey to the Corryvreckan Whirlpool – the third largest in the world. Watch in amazement as the gravitational effect of the sun and moon create a natural phenomenon. During high tides, listen to the roar and watch waves that can reach 9 metres high cause more water to flow in this area than passes out of the Amazon River in a day. Spectacular, breath-taking and a sight that will stay with you forever. Islay the “Whisky Isle” most southerly of the western isles, Islay is known around the world as home to eight Scottish whisky distilleries including three of the island’s most famous distilleries, Laphroaig, Lagavulin and Ardbeg. 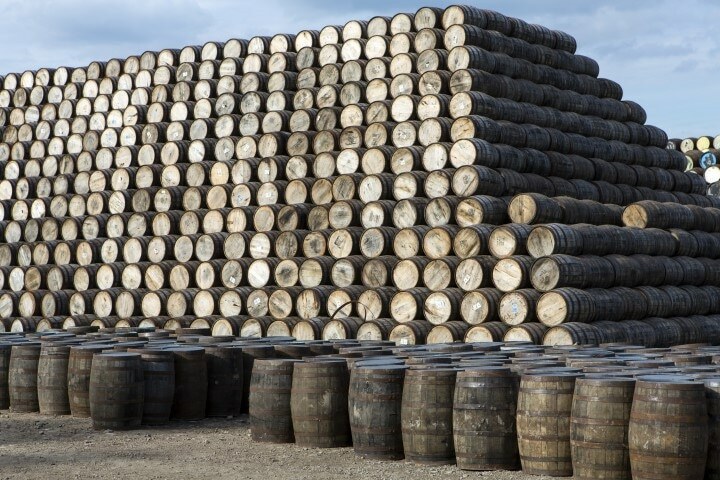 With its high peat content the strong flavour of the Islay whiskies are most distinctive. The history of the island is thought to date back as far as the Mesolithic period after a flint arrowhead dating from 10,800BC was found. More recent historical remains can be found at Kildalton Cross with a ruined church and a number of fascinating gravestones. There is also the American Monument, built to remember the loss of the hundreds of US soldiers who died when two ships were sunk off the island in 1918. Perhaps what makes Islay so special is that it acts as the winter resting place to over 35,000 barnacle geese as well as over 10,000 Greenland white fronted geese. The European cousin to the American trumpeter swan, the whooper as well as golden eye ducks are also regularly seen. The elusive corncrake and the cirlew sandpiper are also often seen during the summer. Permanent residents include the majestic golden eagle, barn owls, guillemot and the red billed chough as well as the sea eagle. Wandering through the paths, you can see red deer, fallow deer and roe as well as otters, lizards and seals who gather on the rocks in the evenings. 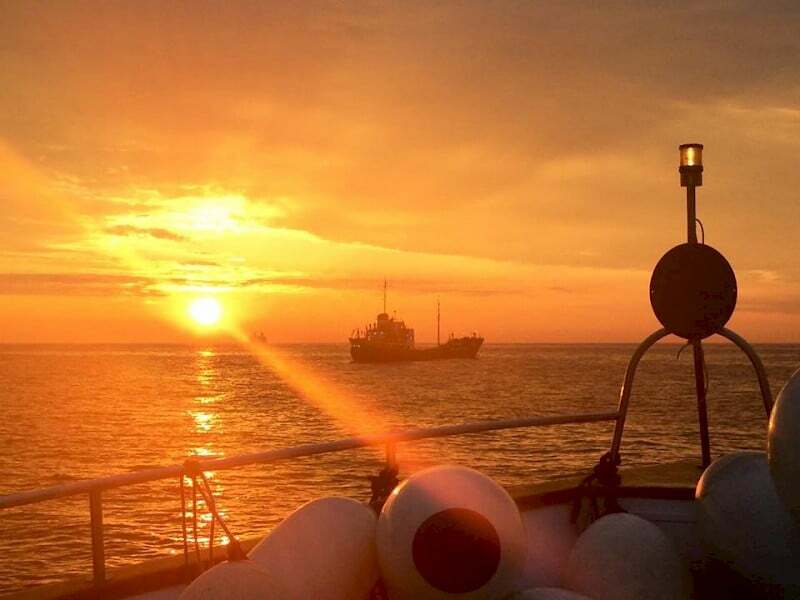 Perhaps as you sail to the island you will see the local bottlenose dolphins, minke whales and pilot whales as well as a special glimpse of Killer whales majestically gracing the waves. Bowmore is the first recorded distillery on the Isle of Islay and one of the oldest in the whole of Scotland, dating back to 1779. Like other Islay malts, Bowmore is renowned for its peaty smokiness, the result of traditionally smoking the malt using peat-fired kilns. The distillers keep to the time-and tested methods, and the process has scarcely been changed in over 200 years of production. Lying on the south eastern shore of Loch Indaal, the distillery uses water sourced from the River Laggan to produce a wide variety of whiskies of different ages and different finishes. Thanks to its location, some of the distinct characteristics of the Bowmore malts include smoke, salt and seaweed. Excess heat from the distillation process is used to warm the waters of Bowmore village’s nearby public swimming pool which is housed in one of the distillery’s former warehouses. Bunnahabhain has been part of Islay’s whisky heritage since 1881. 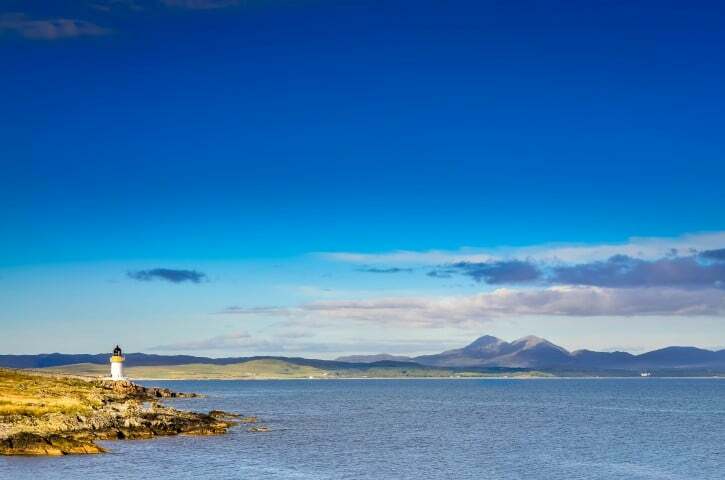 Nestled into the north east tip of the island, it overlooks the Sound of Islay and the neighbouring Isle of Jura. The name Bunnahabhain derives from Gaelic word for ‘mouth of the river’ and the distillery draws its water from the nearby Margadale Spring. This remote distillery produces a fine range of malts which are not quite as heavily peated as other Islay malts, and with each bottling some distinctive characteristics. As well as Bunnahabhain single malt, many casks produced in the distillery will be used in Black Bottle, a blended whisky which features a quantity of spirit from every distillery on Islay. In a sheltered spot on the shores of Loch Indaal lies Bruichladdich, home to a distillery which dates back to 1881. Bruichladdich distillery’s operation and ethos blends an interesting mix of old and new; much of the equipment used dates back to the Victorian era but this distillery is famed for taking innovative approaches when it comes to the whisky-making process. 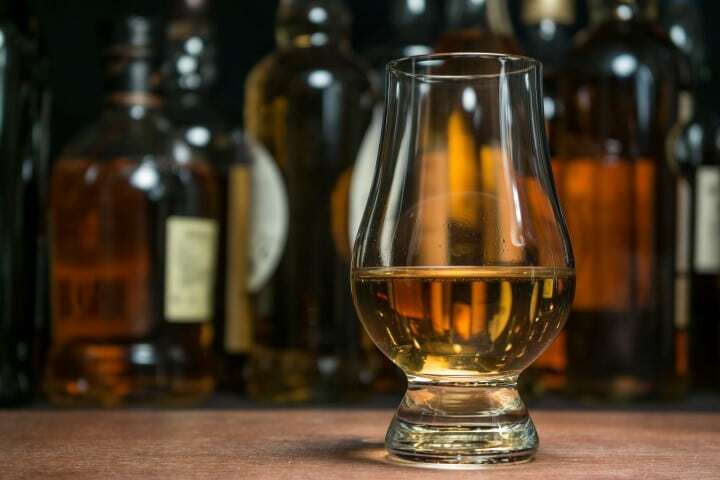 Self-styled as ‘progressive Hebridean distillers’, Bruichladdich has released the Octomore, an experimental whisky made from super heavily peated barley and said to be the most heavily peated single malt whisky in the world. As well as whisky, the distillery started producing gin, named The Botanist, in 2011.
available for general sale straight from the cask in the setting of the cathedral-like maturation room. producing a jaw-dropping excess of 2 million litres of spirit per year, and boasts a whisky-making heritage that stretches back to 1846. Back in the day steamboats, known as ‘puffers’, would deliver cargoes of malting barley, coal and empty casks to the distillery. 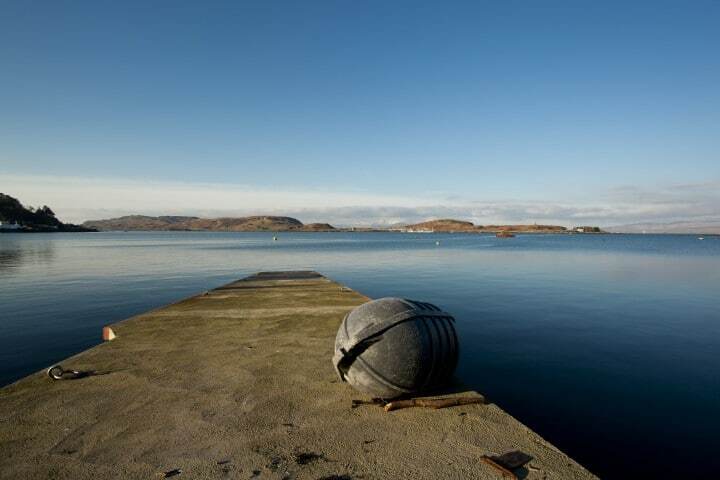 They would return with these casks full of whisky to the mainland through the Sound of Islay, the straight which separates the island from neighbouring Jura. 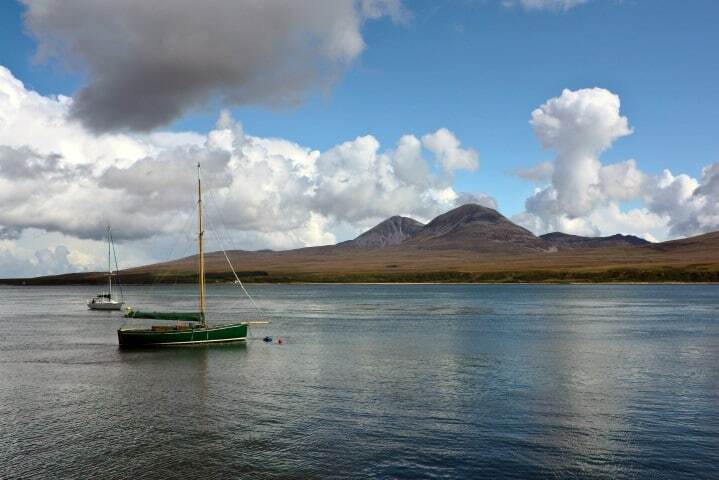 Upon arrival, absorb the outstanding panoramic views across the Sound of Islay to the Paps of Jura, before taking a behind-the-scenes tour of the distillery. Watch the distillers hard at work tending the six copper stills on one of three tours which invite you to witness first-hand the time-tested process behind the spirit produced at Caol Ila. Discover how Islay peat imbues the whisky distilled here with its distinctive, smoky character, sample a selection of its different ages and maturations, and discover the unexpected flavourings of its finest malts during a special tasting session accompanied with delectable chocolates – a truly unique whisky-tasting experience. Opened in 2005, Kilchoman Distillery is the youngest of all the Islay distilleries and was the first distillery to be established on the island for over 124 years. Visit this authentic farm distillery and discover how it manages every stage of the whisky making process on-site – they even grow their own barley on the farm’s fertile land. The tour takes you on a journey through every stage of the production process, you can even see how Kilchoman malt their own barley on the farm’s traditional malting room floor. While other distilleries rely on specialist malting companies to supply them with malted barley for their whiskies, Kilchoman is one of the few distilleries in Scotland who malt their own barley onsite, meaning you can start your tour right at the beginning of the whisky making process.Tours range from the standard Distillery Tour to the Manager’s Tour, where you will learn about what it takes to run Islay’s farm distillery from one of the managers themselves, before tasting a unique expression straight from the cask. Lagavulin is one of three distilleries that sit on the southern coast of Islay. Much like its neighbours Laphroaig and Ardbeg, the site occupies the shores of its own secluded cove, Lagavulin Bay. As is also the case for many of the distilleries on Islay, its whitewashed with the distillery name, which can be seen from the decks of the arriving ferry from the mainland. The tradition of whisky distilling started on the spot where the current distillery buildings stand long before it was built. As far back as 1742, there was anywhere up to 11 illicit stills making whisky in Lagavulin Bay. The current distillery, sitting in the shadow of the ruined Dunyvaig Castle – once the seat of the Lord of the Isles – wasn’t built until 1816. The hallmark of Islay whiskies is peat smoke, and Lagavulin is not one to shy away from this distinct characteristic. Its signature expression, Lagavulin 16-year-old, is appreciated the world over for its intense peat smoke notes – a superb accompaniment to a fine blue cheese. Said to be the definitive taste of Islay, Laphroaig (pronounced ‘La-froyg’) has been distilling on Scotland’s whisky island for two centuries. Perhaps the smokiest of the Islay whiskies, it uses hand-cut peat from the nearby Glenmachrie bogs to dry malted barley in on-site kilns. Laphroaig was the only spirit not banned during Prohibition in 1920s America. It was sold as a medicinal spirit because of its iodine taste, a characteristic derived from the moss and roots in the peat. several different tours operated by the distillery staff. The taste of Laphroaig also has a lot to do with its location. Nestled in a cove from which it gets its name (translated from Gaelic as ‘the beautiful hollow by the broad bay’), it is in the direct path of strong salty sea winds from the Atlantic Ocean. 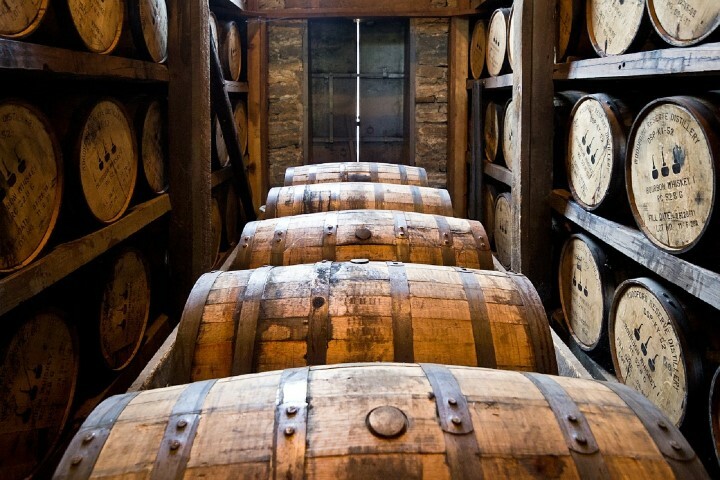 The moisture in the air gets into the warehouse walls and casks, which gives the whisky a maritime taste profile. An interesting veritable archipelago of little islands and skerries. 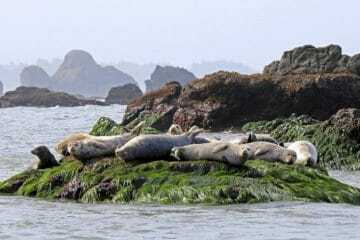 With an array of seals great for just sitting watching them, you can’t help but become part of what’s going on with the family frolics. Oystercatchers, terns, eider duck, shell duck, swans, herons, deer feeding by the water’s edge. When it comes to these it’s all about the water and the wildlife. Jura and its distinctive Paps of Jura which dominate the skyline also named the Mountain of Gold, the Sacred Mountain and the Steep Mountain. 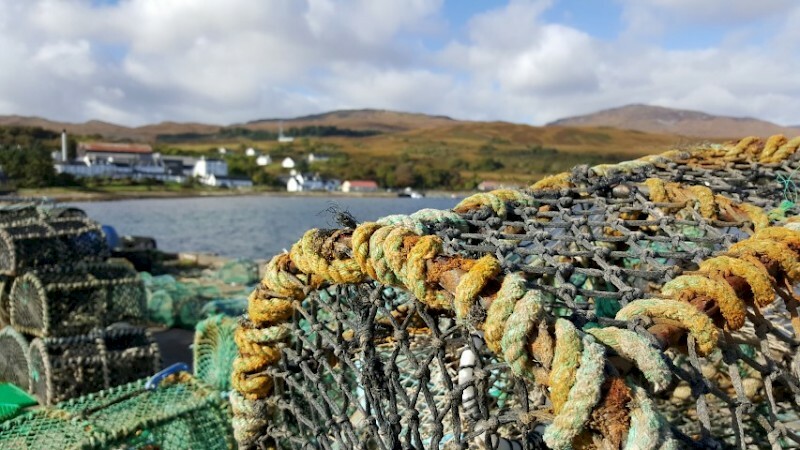 The name comes from their distinct shape, whilst the history of the name Jura is thought to come from the Old Norse for Udder Island aptly describing the shape of the mountains. Long before the notorious Highland clearances of the nineteenth century, there were a number of waves of emigration from Jura. In 1767, fifty people left Jura for Canada, the population gradually shrank from over a thousand to just a few hundred. Emigrations were far from voluntary, and were the result of factors such as hunger and spiralling rents. Craighouse is home to the Jura Distillery, producing Isle of Jura single malt whisky. 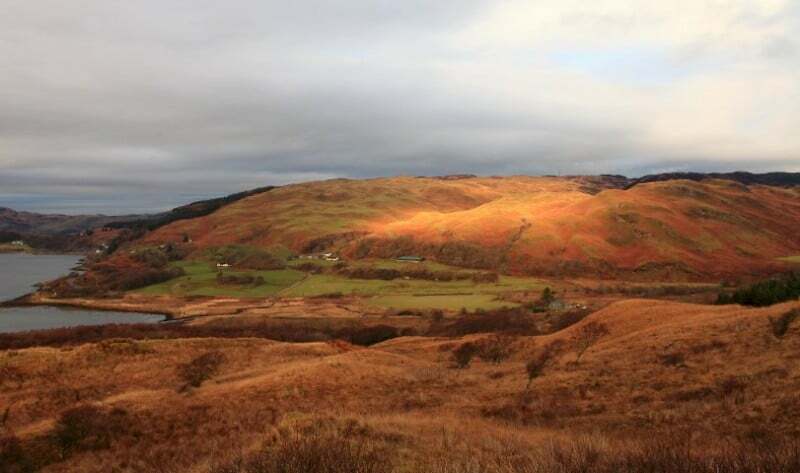 Jura is also noted for its bird life, and especially for its raptors including Buzzards, Golden Eagles, White tailed Eagles and its Hen Harriers. The distillery didn’t open until 1810 but inhabitants of Jura had been permitted to distil whisky for their personal consumption until a ban in 1781. It fell into disuse but was revitalised in the 1960s by two locals, Robin Fletcher and Tony Riley-Smith. Today the distillery produces a wide range of uniquely flavoured malts produced using traditional methods and in 2006 it received a Gold Quality Award from the international quality institute Monde Selection. The tours take you through each part of the distilling process and are demonstrated and explained in detail. A complimentary dram is also included at the end of the tour. 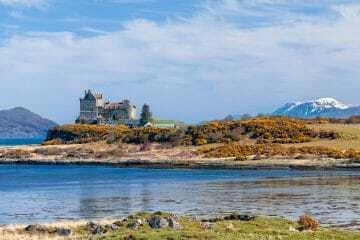 Just off of Jura, the island was owned by Richard Hill, the seventh Baron of Sandys and has not been inhabited on a permanent basis since the 1960’s. Today, the island is covered in beautiful heather and used for grazing animals and has a flourishing herd of red deer. The Islands of the Sea or the Rough Islands as they are locally known, comprise of four small islands just north of Jura. 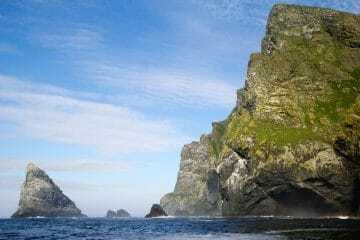 Thought to be over a billion years old, the islands have steeply angled sides and vertical cliffs to two sides. From a distance they look as though they were carved of green glass with gens of wildflowers and pink quartz scattered about. Uninhabited except by a few herds and the ruins of an old monastery, The Garvellachs are only reachable by private charter so they are the perfect secret getaway. 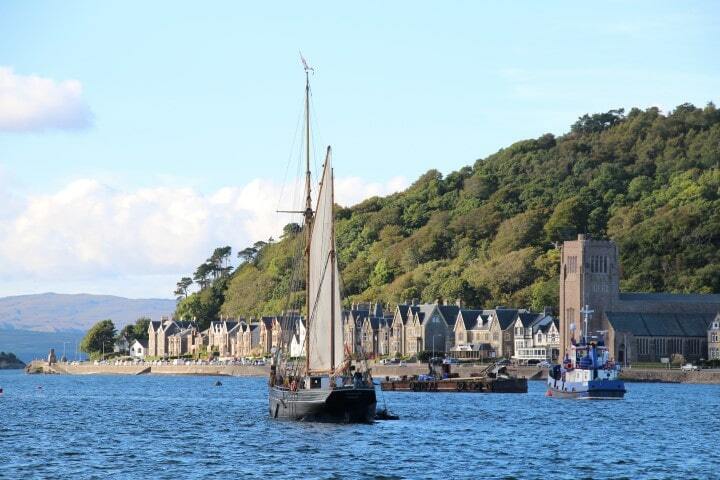 Corpach, town and bay has always played a part in battles and in 1470 the Battle of Corpach saw Clan Cameron rout Clan MacLean. In WWI, the US Navy held a base here and WWII saw it as the engineering base for HMS St Christopher. Buildings that still exist are of particular note include the main torpedo stores (which still have some of the original internal fittings present), even has a long Nissan hut which housed a small target shooting range, today is still a target range. 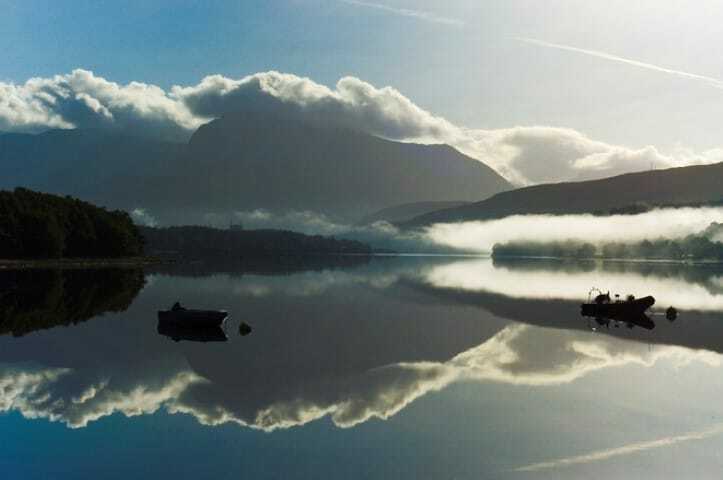 For more tranquil thoughts, it is the perfect location to sit on the beach and view the spectacular Ben Nevis in the distance reflected like crystal in the water in front of you. 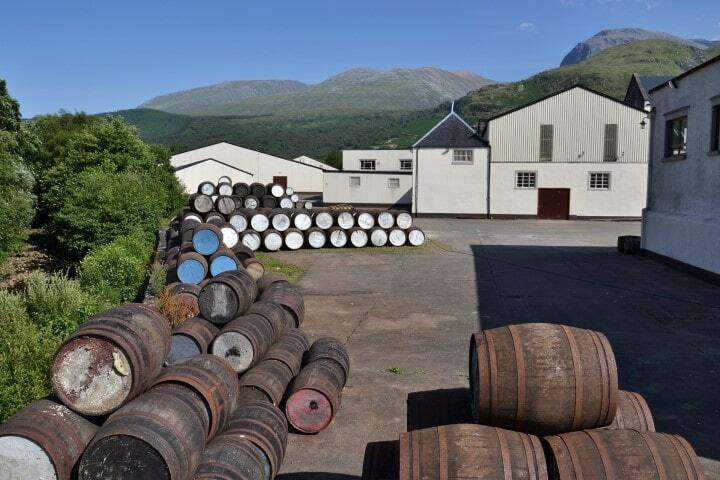 One of the oldest licensed distilleries in Scotland, it is home to The Legend of the Dew of Ben Nevis Visitor Centre. Established in 1825 and situated at the foot of Britain’s highest mountain, Ben Nevis, Ben Nevis distillery is an impressive and historic place. 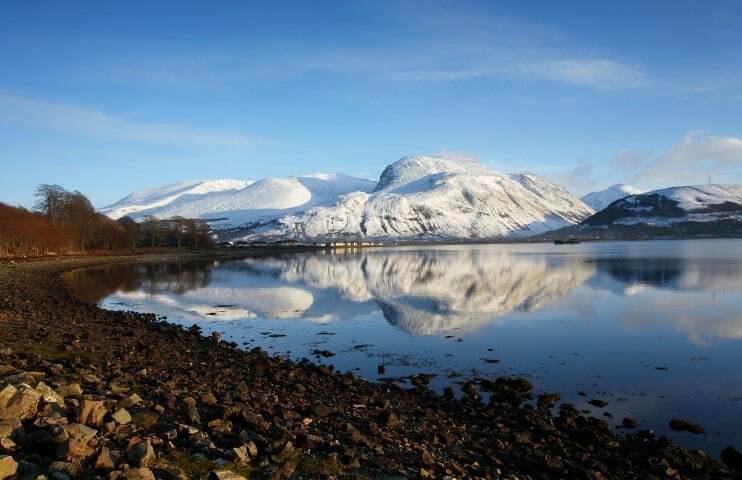 The Visitor Centre is built into an old distillery warehouse and in a specially commissioned audio visual presentation, visitors will meet Hector McDram, a mythical giant who will reveal the secret Legend of the Dew of Ben Nevis. Following this, guests will receive a conducted tour of the production areas by a trained guide and a complementary tasting.